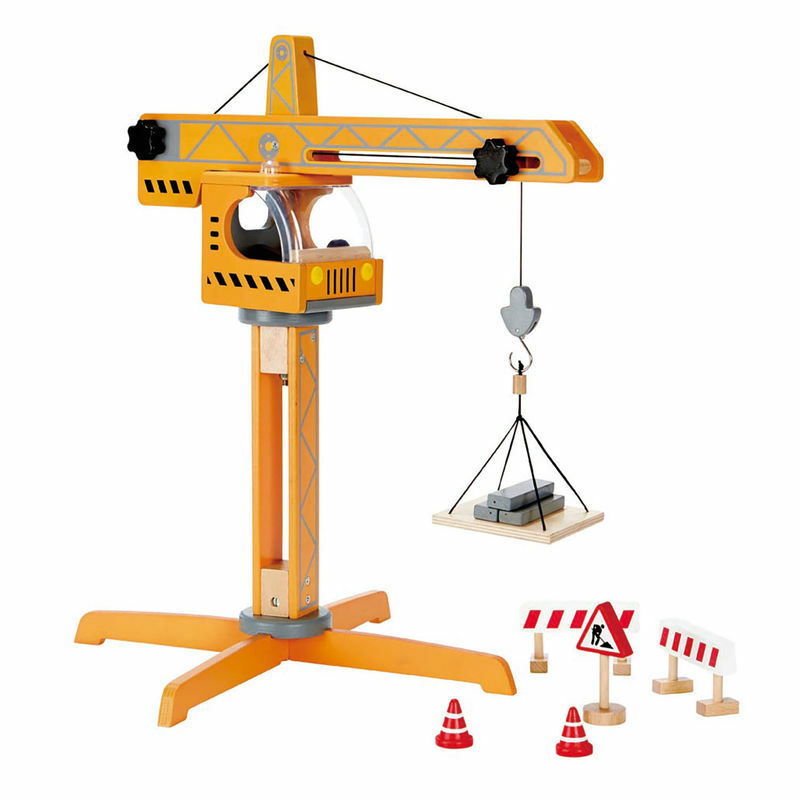 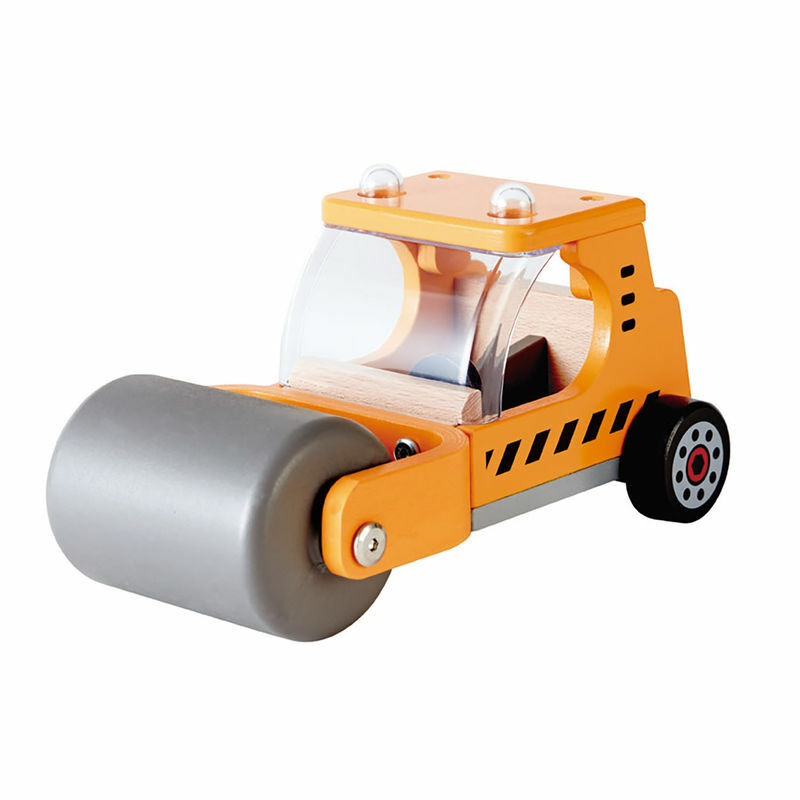 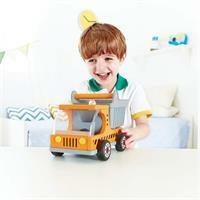 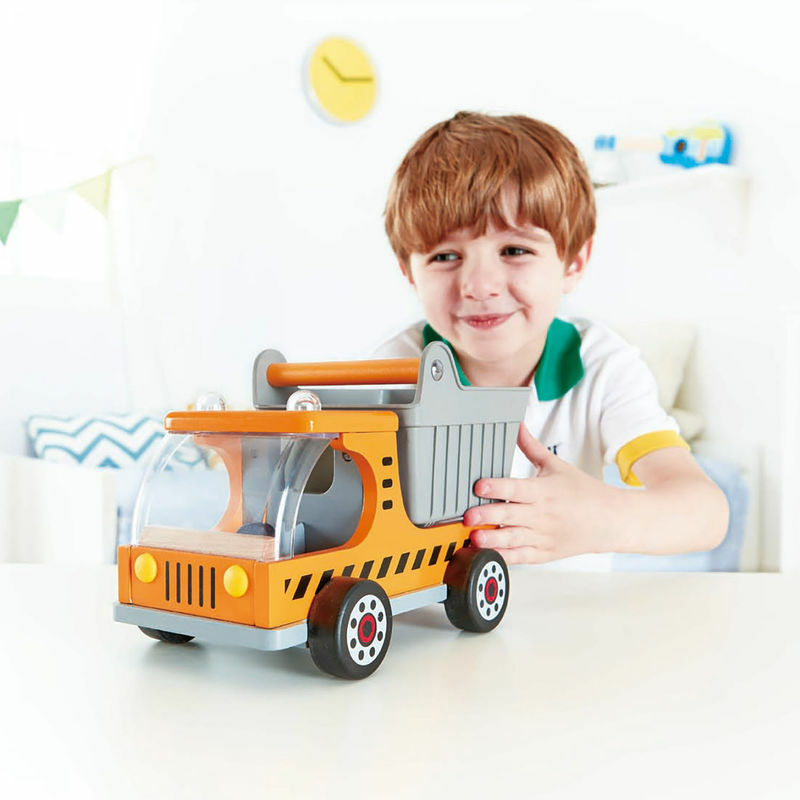 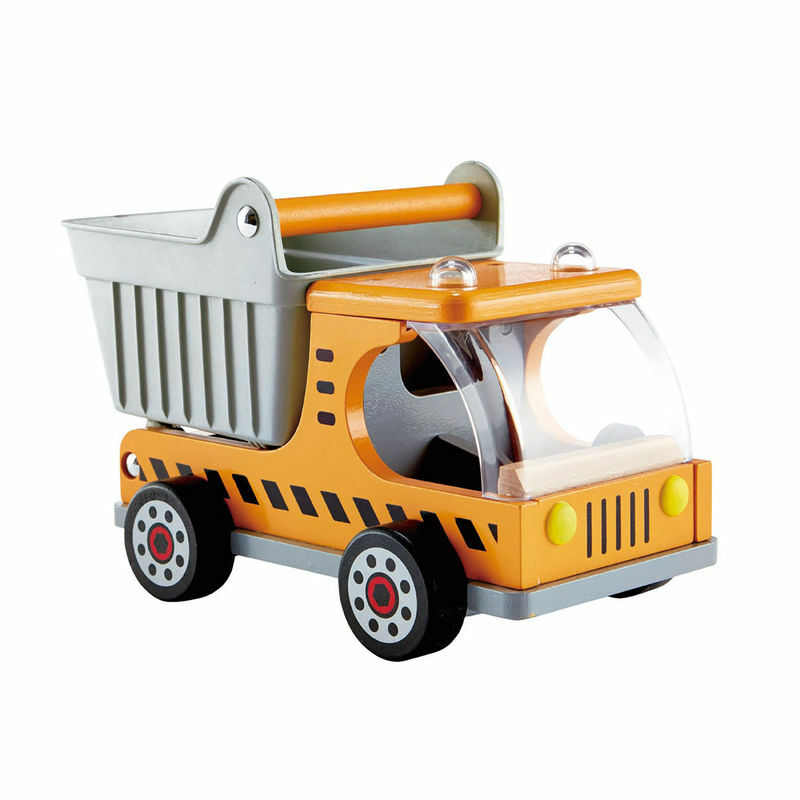 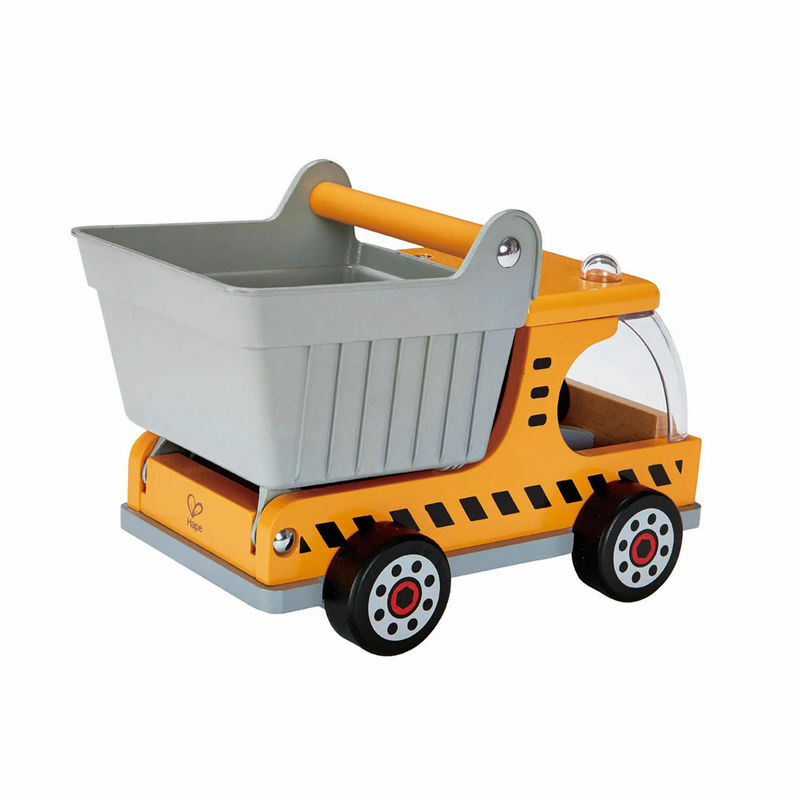 This chunky, wooden Dumper Truck is a must for all! 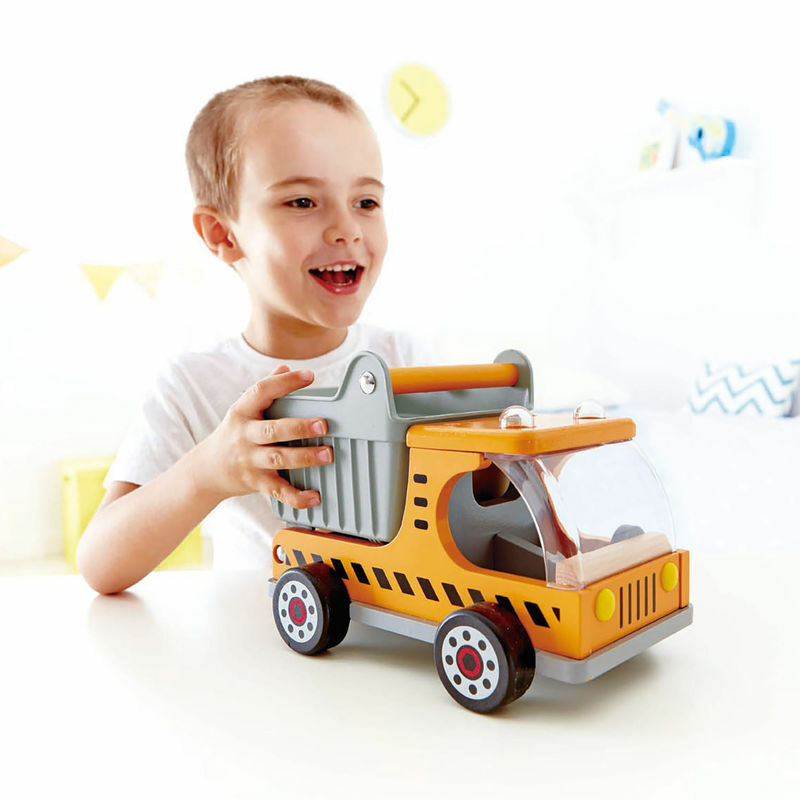 Fuel imaginations and creativity with vehicle fun role play. 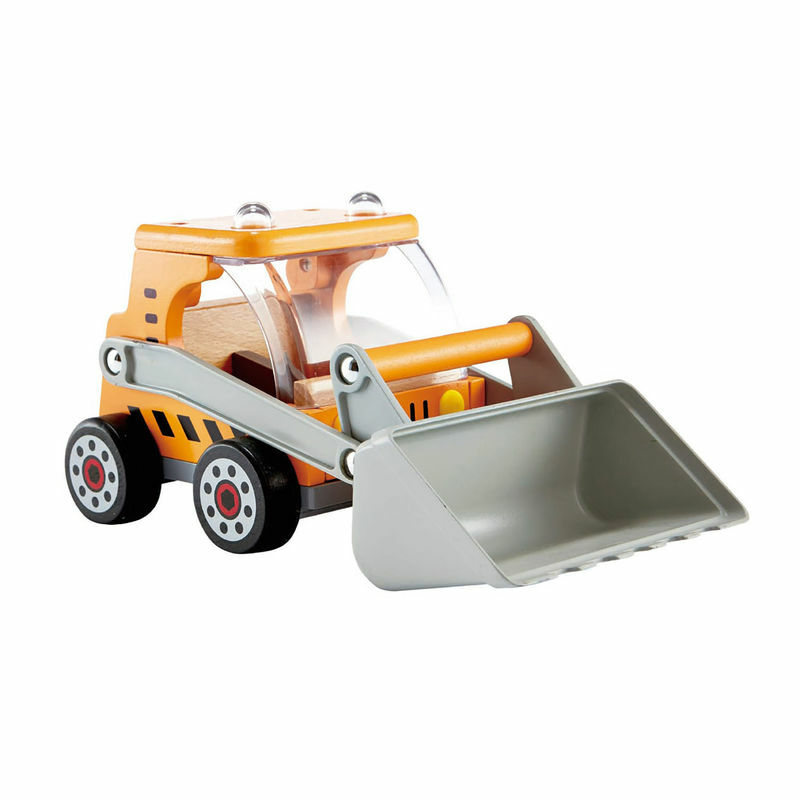 Load up the dumper bucket at the back, travel to your destination and then tip your load out before you collect more! Measures 17cm H x 15cm W x 25cm L.